How can green technology and innovation help deliver IMO’s initial strategy on reducing GHG emissions from ships? This was one of the questions being addressed this week at the Greentech in Shipping Global Forum in Hamburg, Germany (26-27 February). 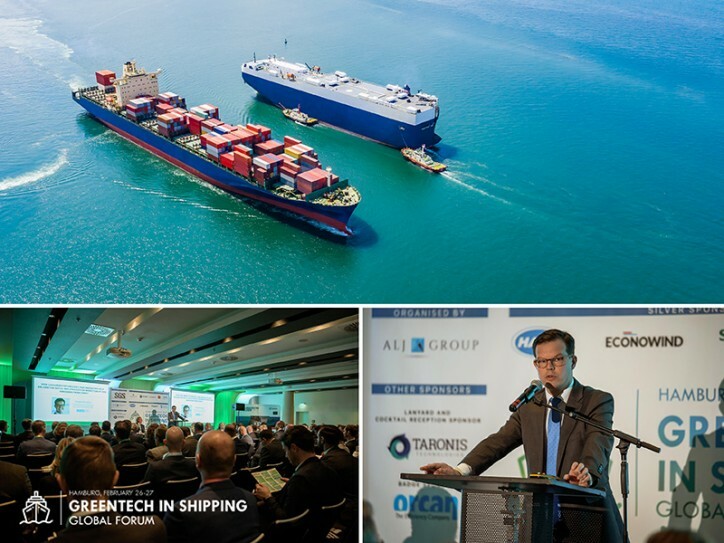 Speaking at the conference, IMO’s Camille Bourgeon addressed maritime sector experts in green technology and innovation, saying that their work will be important in delivering IMO’s Initial GHG Strategy and achieving the goal to make shipping carbon-free. The Strategy, adopted by IMO Member States last year, makes a firm commitment to a complete phase out of GHG emissions from ships, a specific linkage to the Paris Agreement and a series of clear levels of ambition, including at least a 50% cut in emissions from the sector by 2050. Mr. Bourgeon said that “these are ambitious targets, and technology will play a key role towards low- and zero-carbon shipping in the future, including in technological innovation in alternative fuels and energy sources”. He said that it is encouraging to see so many people working in companies, classification societies and research groups exploring new solutions, and that the forum gives opportunity for industry stakeholders to further discuss such solutions – from alternative fuels, to engine technology, post-combustion devices, energy-saving technologies and more.